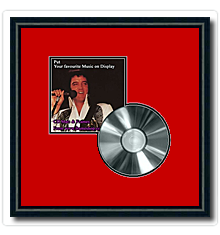 Frame to display that special CD or LP, from your wedding, your friend's band, or special celebrity music. 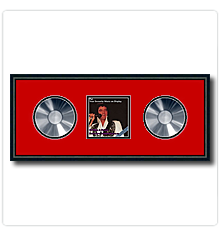 CD Frame can be hung horizontally or vertically. Note: You may use up to 3 lines, with a maximum of 25 characters per line. 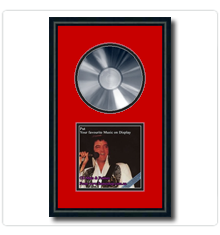 We will evenly space and centre the text.